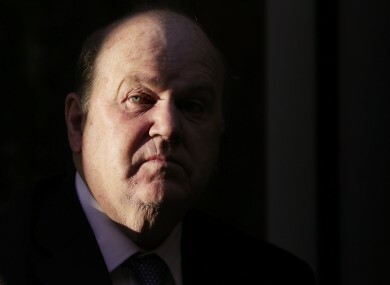 AROUND 45,000 HOUSEHOLDERS have had Household Charge payments taken from their wages or pension, Finance Minister Michael Noonan has confirmed. In an answer to a parliamentary question from Fianna Fáil’s Michael McGrath, the Minister has been setting out how Revenue has been pursuing those liable for the payment, which was the precursor of the Local Property Tax. Revenue took over responsibility for collection of the tax from the Local Government Management Agency in July 2013, at which point all outstanding liabilities were increased from €100 to €200. As part of the handover, Revenue carried out a data-matching exercise, based on the LGMA’s Household Charge database. “The data matching exercise produced a list of properties in respect of which the HHC did not appear to be paid,” Noonan said. Once the ‘unpaid’ cases were identified Revenue announced a compliance campaign, including a six week window (to 31 March 2014), to allow people get both their HHC and LPT affairs in order. In mid April of last year, Revenue wrote to the owners of around 274,000 properties who had not brought their Household Charge affairs up to date during the six week window. “The notices clearly warned of the consequences of continued non-compliance and outlined the steps that needed to be taken to avoid debt collection/ enforcement sanctions, including making immediate payment or updating the HHC record where either exemptions or waivers applied,” Noonan explained. Revenue has collected over €40m in respect of around 253,000 properties since it took over responsibility for the charge, the vast majority of which has been collected since the compliance campaign started, according to Noonan. “Revenue has also informed me that there are still ongoing discussions in a significant number of cases where the accuracy of the liability is being challenged. Further payments are being received on a daily basis as these cases are finalised and phased payment arrangements are being accepted when requested in the same manner as applies to LPT. In regard to mandatory payments, Revenue has issued instructions to employers or pension providers to deduct the Household Charge in almost 45,000 cases, and has offset over 19,000 payments from pending tax refunds. Revenue has also confirmed that neither interest on late payment charges or surcharges on Income Tax, Corporation Tax and Capital Gains Tax returns have been applied in respect of HHC and no cases have yet been referred for either solicitor action through the Courts or Attachment. Email “Payments of the Household Charge still being received every day”. Feedback on “Payments of the Household Charge still being received every day”.